Hi, your spider is kind of odd. She’s an orb weaver. 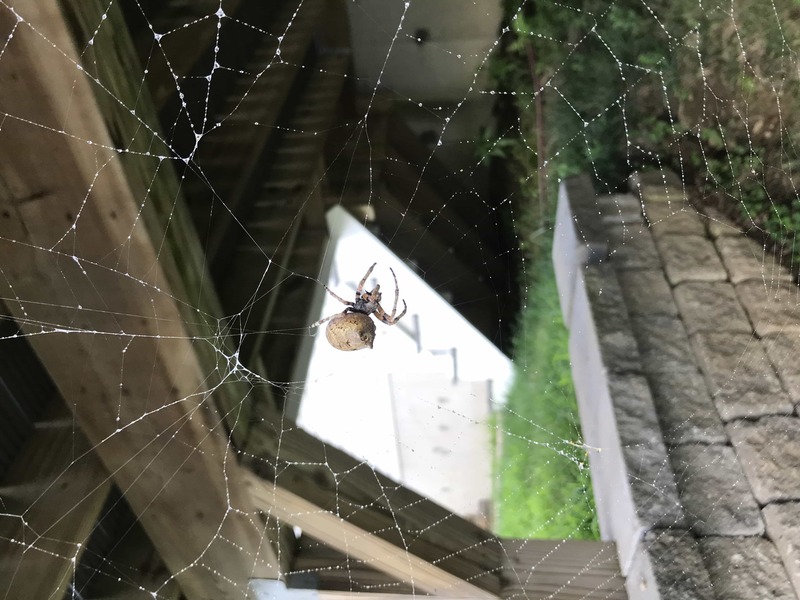 Her markings are like a marbled orbweaver, Araneus marmoreus. Her abdominal projections are like Araneus gemmoides though. She’s probably Araneus marmoreus.